B0004. Gordon M. Eby. 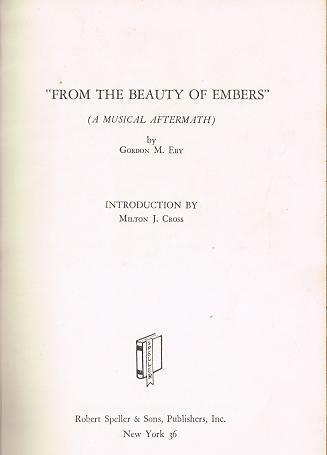 From the Beauty of Embers, A Musical Aftermath, with an introduction by Milton J. Cross. New York, Robert Speller and Sons, 1961. First Edition. Inscribed, Autographed and Dated by the Author. Hardbound. Excellent copy has minimal yellow highlighting.